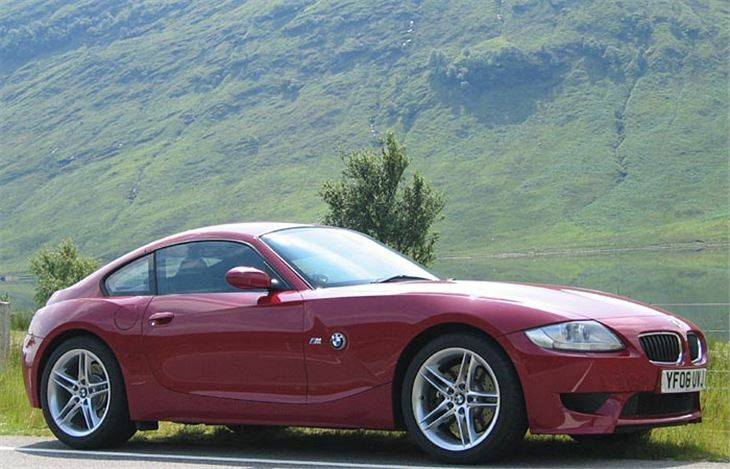 It’s a good looking car, the BMW Z4 Coupe. Hunched on its back wheels like a cat about to pounce, there’s a bit of competition E-Type, Ferrari GTO, Cobra Daytona and BMW 507 in it. Somehow, all the bells Bangles and beads come together. And before you ask there’s plenty of room for golf clubs in the boot (of the 3.0i, anyway). 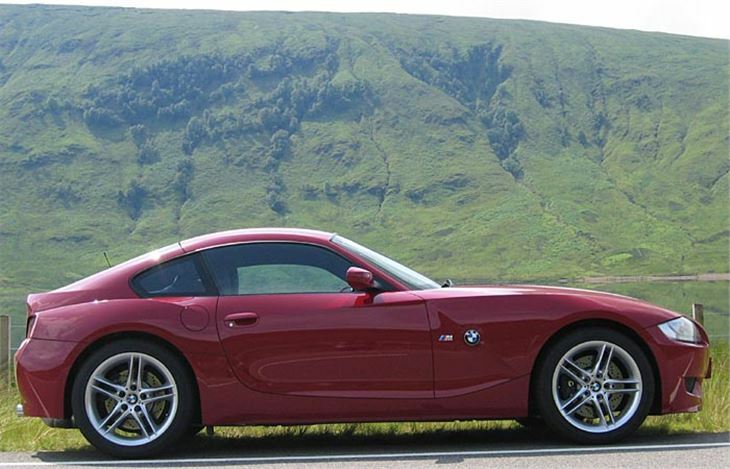 Get into the Z4M and the first assault on your senses is the steering wheel. The rim is so thick, some people simply won’t be able to touch fingertips around it. So it’s a man’s car, then? Too right it is. 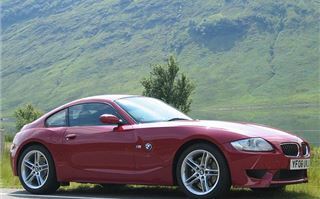 The car has so much power it’s actually quite difficult to change gear smoothly. You think that’s the price of lightening quick gearchanges when accelerating hard. Yet, perversely, it’s also difficult to make quick gearchanges. And the quicker you go, the lighter the steering becomes, making the car tricky to aim accurately through fast corners. With that light steering, neither of us felt inclined to switch off the ESP. The trick variable diff digs in hard at the back. Yet still, as a driver, you’re conscious of just not being able to pilot the car smoothly. And as a passenger you feel like the co-driver in a rally car. It’s also very noisy, but instead of listening to an orchestra your ears get assaulted and battered by a hard rock band. So yes, it’s quick. 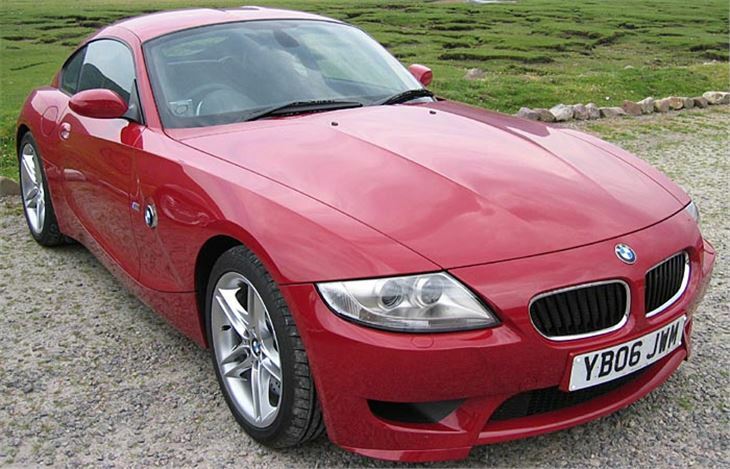 I’ve no doubt it does do 0-60 in 4.7 seconds and 0 to 1,000 metres in 23.7 seconds. 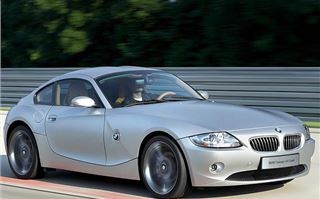 Comfortably ahead of the 300bhp Nissan 350Z, for example. But I for one did not feel anything like as confident as I did driving Nissan’s squashed toad. 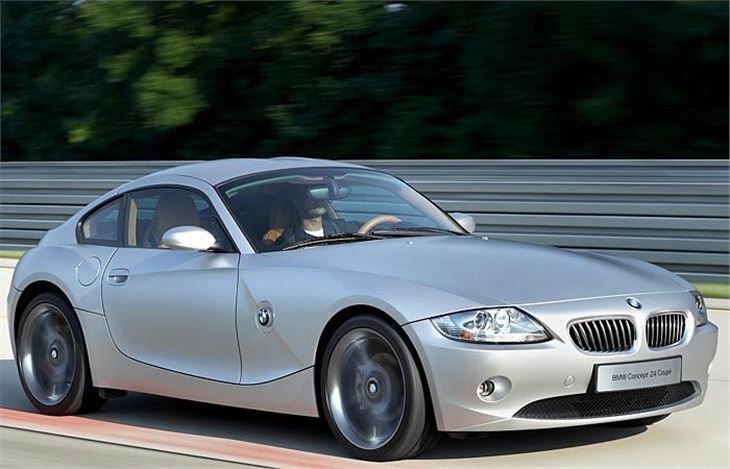 I can only guess it’s something to do with the BMW’s aerodynamics allowing too much lift at the front. The £10,000 cheaper 3.0iSE is much easier to drive. 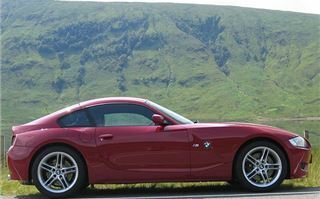 Whereas in the Z4M the ‘Sport’ button merely razor sharpens the already hair-trigger throttle response, on the 3.0i it strops both throttle and electric power steering. 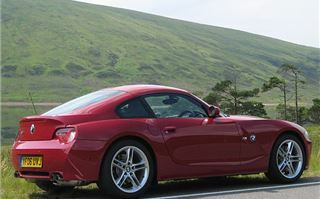 But the clutch is more comfortable for your passenger, it is easier to line up through a series of corners, and it had no trouble pulling over 140mph. Yet, despite a normal rim steering wheel, the helm still becomes a bit too light at serious speed. 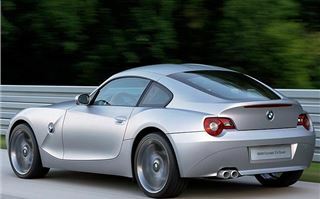 Completely the opposite of a Porsche, or a Nissan 350Z, for that matter. Yet at parking speeds in ‘Sport’ mode the steering can feel like it has no assistance at all. So the problem must be an aerodynamic one. And I have a problem. If I’m going to drive illegally quickly I want to feel fully in control. I did in the 350Z. I did in the Porsche Cayman S. I felt totally safe in the Audi RS4. 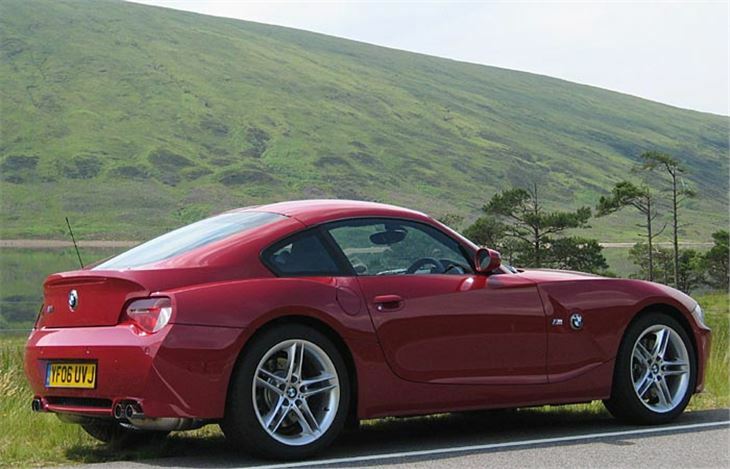 But I didn’t in the Z4M Coupe. 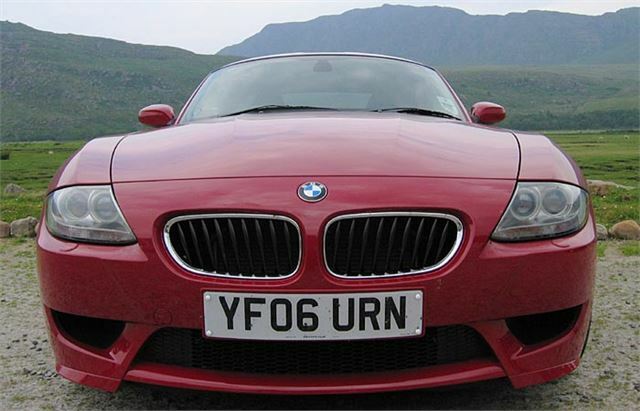 And was no happier in the Z4 3.0i Coupe than I had been in the SLK280. 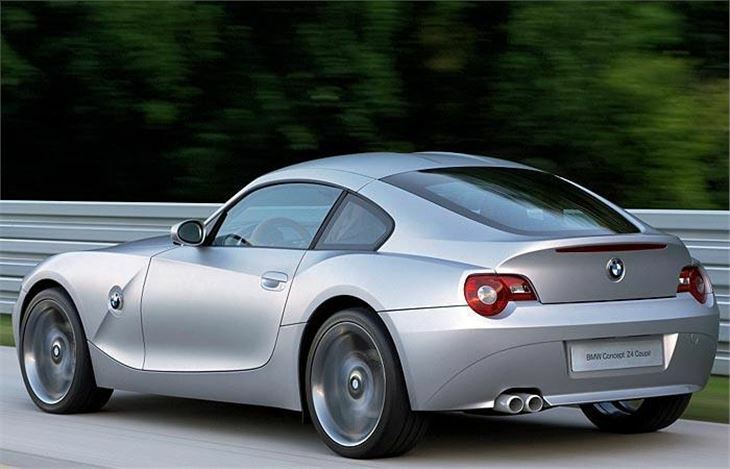 Maybe BMW will do something to the Z4Coupe to increase its appeal to guys suffering from male meno-porsche. They must be able to because the M3 and M5 both steer much better. I’d like to come back to the car and find that they had.